Mouthwash is the third and final aspect of dental care that can be done at home. A mouthwash with fluoride helps to prevent cavities and periodontal disease. Also, mouthwash helps create a fresher and cleaner mouth. In addition, the quantity and quality of plaque and bacteria in the mouth is decreased. Mouthwash should be the final step in dental care in the morning and at night. Although mouthwash is often advertised as an effective method of dental care it is not nearly as important as brushing and flossing. Some mouthwashes simply mask the problem of bad breath with chemicals that don't actually improve oral health. Therefore, mouthwashes fall into two main categories including cosmetic and therapeutic. That is why it's important to use mouthwashes that contain fluoride or xylitol as they reduce the buildup of plaque and tartar. Therapeutic mouthwashes truly fight the underlying cause of bad oral health instead of just masking bad breath and whitening teeth. 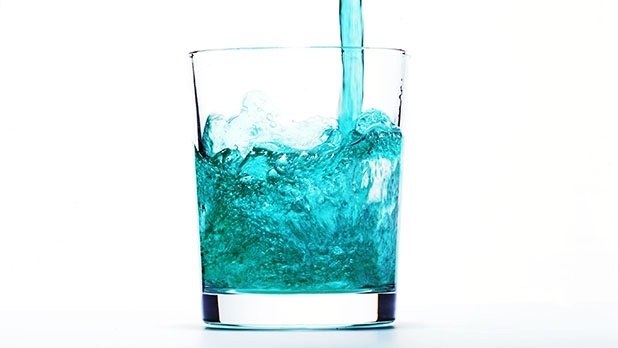 Even though mouthwash may be healthy to use it is not an active substitute for brushing and flossing.